Sugar apples are stunningly delicious fruits. 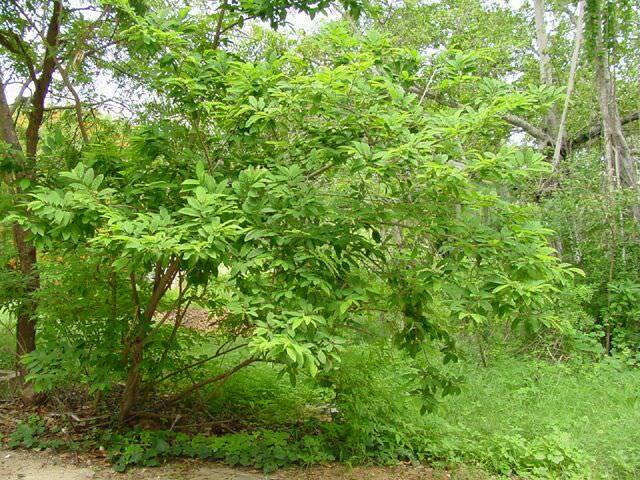 They are extremely popular plants and their fruits are widely wanted and desired. Their fruits are used in fruit salads, desserts, and drinks. Learning how to grow sugar apple is easy as long as you have a sunny spot and well-draining soil. The Sugar apple fruit is known scientifically as Annona squamosa is a member of the Annonaceae family. 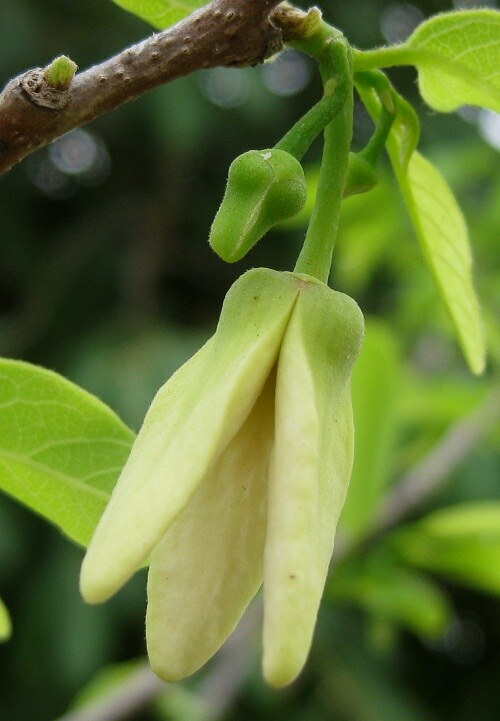 Its origin is still mysterious but it is believed that it is native to either India or Central America because it is widely available in these two regions. This admirable popular plant produces 2 to 4 inches long fruits. Each fruit contains 1/2 inch tall seed that comes in black or dark brown. The fruits usually take three to four months to ripe after flowering. 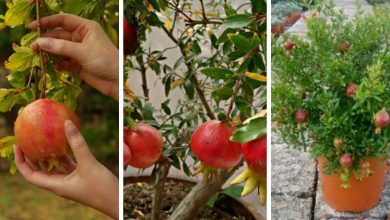 If you want to enjoy this expensive highly popular fruit, learn how to grow sugar apple fruit from the below guide. The fruits have the shape of an oval. They are usually between 5 and 12 cm in diameter. Their color is green-yellowish. They contain a sweet white or yellowish pulp. The pulp is extremely delicious. It has a sweet aromatic, pleasant and creamy flavor. The seeds of this plant are distinguished by their shiny black color. They are widely used in creating peanut oil in the manufacture of soap. The fruits are the only edible part of this plant. The seeds and leaves are poisonous. The fruit is eaten fresh and it cannot be cooked. Seed propagation is the most common way to grow apple sugar. 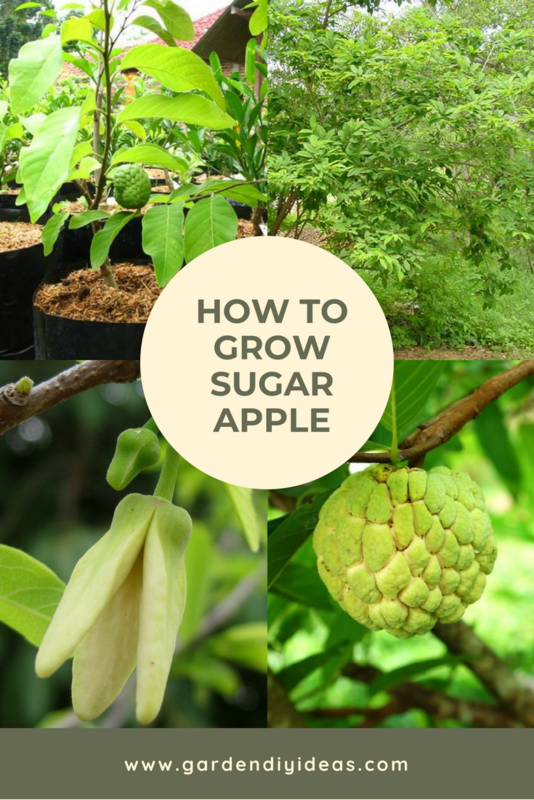 Although it has many disadvantages such us low and slow germination rates, taller plants and high genetic variability, it is the easiest way to propagate sugar apple fruit. For better results, use seeds from trees that have produced heavy, tasty and healthy fruits. You could also buy the seeds from your local garden center. Don’t take too long to plant the seeds. They are delicate and they lose their viability in five months. Poke a hole of 2 to 3 deep in your garden and plant the seeds horizontally. Leave a space of at least 2 cm between each seed. The seeds will germinate slowly. However, they should germinate within 30 days from planting. 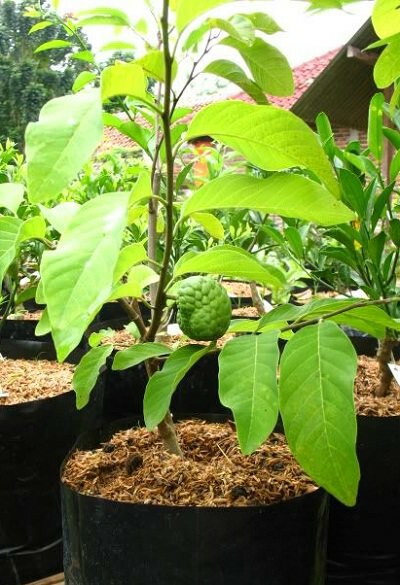 Growing sugar apple from seedling may take some time and requires transplanting but it is better than growing sugar apple from seeds. For seedlings, you should start by wrapping your seeds in a paper towel, then soak them in water and place them in a ziplock bag to soak for at least 3 days. Alternatively, you can scarify the seeds with sandpaper and soak them in water for a whole day. In order for the seeds to germinate, they need a good quality soil and a sunny spot. Sugar apple seeds love warmth and light. If you can’t provide enough sunlight for your seeds, consider installing grow lights. The container you use for seedling should be at least three inches deep. It is compulsory that it has drainage holes. Fill it with soil and make sure that the soil is moist and damp. Then plant the seeds 3 cm deep in the soil. Water the seeds carefully. Sugar apple seeds like moist soil but not waterlogged soil. Therefore, you should let the soil dry before you water it again. Once the seedlings are mature you can either transplant them outside in our garden or in a bigger pot. 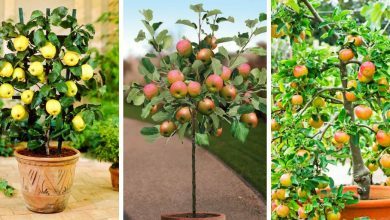 Apple sugar fruit can grow in pots if you choose the right variety. The best varieties to grow in pots include Seedless Cuban, Balangar and mammoth. 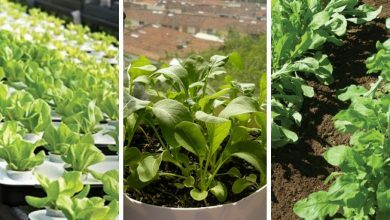 If you are going to transplant the seedlings in your garden, make sure to do it during a warm climate. These plants can tolerate drought to a certain extent but the cannot tolerate coldness at all. They require a temperature degree above 50F so make sure you do the transplanting in spring or summer in a sunny area. The best temperature degrees to grow this sweet fruits should range between 50f and 85F. This plant can tolerate some levels of heat and drought but can’t resist the cold. If the temperature degree falls below 32F, your immature plants will die. As we mentioned above, to a certain extent, this plant is considered drought resistant. Therefore you should leave to dry completely between waterings. However don’t let it without water for a long time, it will cause leaf and fruit drop. It is advisable that you water the plant every 2 to 4 weeks during the growing season. When it starts flowering, you should water it every 2 to 5 days. Then reduce watering mature trees to once every two weeks. During winter, you could either keep reducing watering or stop it if there is a lot of rain. Apple sugar fruit is adaptive to many different qualities of soil. It can grow in sandy, clay or loam soil. However, for a heavy delicious yield, it is recommended that you use fertile, loose, deep soil. You should also avoid sandy soil and opt for well-draining soil. The drainage is crucial in preventing diseases from attacking your plants. Scientifically speaking, the growth of apple sugar depends heavily on the amount of organic matter in the soil. Therefore, if you are looking for optimum growth, use a soil that is rich in organic matter. For maximum production, you should maintain humidity above 60% especially when the plant starts to flower. It has been proven that humidity is one of the factors that contribute to the flowering and pollination. In the first years of the planting, it is crucial that you apply complete fertilizer. One of the best fertilizers to apply is organic matter based fertilizer. It will improve the texture of the soil as well as boots the development of the roots. You should use 60 to 80 kg of aged manure or compost every year during the initial years. When the plant grows enough to start fruiting, feed it with 3: 10: 10 fertilizer. It will help it produce more fruits. One of the problems that you will encounter when growing sugar apple tree is low pollination rate. It affects the yield of the plant and the fruits. To avoid this problem, it is better to attract pollinating insects or to do the pollination by yourself. If you don’t know how to, you could learn from this guide. You should also protect your plants from wind and weed. They first may break your plant as it is an extremely delicate plant. The second will hinder the growth of your plant. Mulching will help protect your plants from weeds, but, it is better that you do regular weed checks and remove the weeds surrounding your plant manually. As we mentioned, The sugar apple fruits is an extremely delicate plant which makes it vulnerable to pests. Pests could infect your plant easily if you are not paying attention and they will reduce its production. In order to protect your plant, use fruit covers such as a Plastic bag, paper or polyethylene. Most of the diseases that the sugar plant is prone to cause by the weather. The most dangerous diseases are anthracnose and leaf spot. They are mainly caused by the rain and humidity. You should be able to harvest the sugar apple fruit after 3 to 4 years from planting it. It will keep producing fruits for 10 to 11 years. When it is 15 years old, it will decline. Harvesting this plant can be tricky as not all fruits ripe at the same time. Therefore, don’t harvest randomly but rather choose the mature and totally ripe fruits. You could recognize them visually through their size and color. The color of the seeds is another indicator of the fruit’s maturity. If the seeds are almost black, it means that the fruit is completely ripe and ready to be harvested. 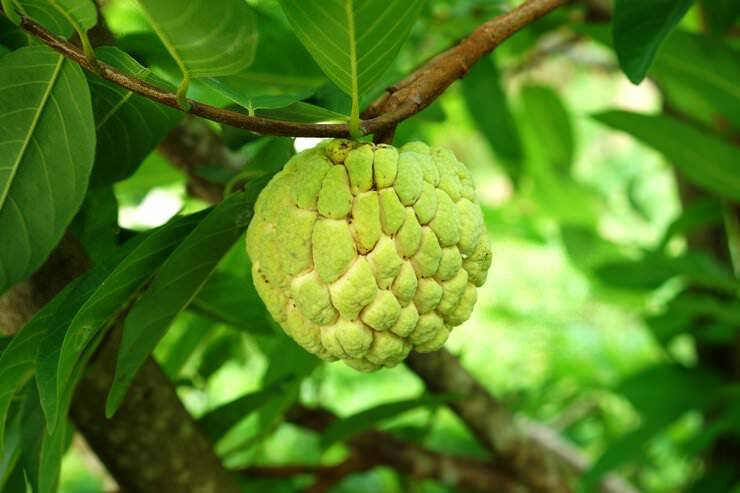 Since the sugar apple plant is an extremely delicate plant, you should harvest it with care. Harvest the fruits by cutting the stem with a sharp knife. This way you will not hurt the plant. The sugar apple fruits besides being very delicious and creamy, they are rich in sugar, protein, and phosphorus. They are used to make dessert, juice and ice cream. This is a detailed guide to learn how to grow sugar plant successfully. Follow this guide and you enjoy a heavy yield of this popular wanted plant for years. Since the plant produces between 100 and 180 fruits per year, you could sell them. They are extremely expensive. 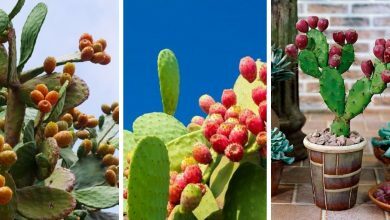 You could also learn how to grow turmeric, dragon fruit plant and star anise. Enjoy gardening and if you have any question concerning growing sugar plant, don’t hesitate to let us know.